Q: "I thought the brain we're born with is our brain for life, like our eye color or what height we're going to be. I thought my anxiety and my depression are just how I've always been. They're in my brain." A: We used to believe that anxiety, depression, and other disorders could only be managed, not cured, with drugs and other approaches. In fact, from advances in neuroscience, we now know that the brain is dynamic. It re-invents itself. Not unlike a muscle that strengthens after regular exercise, our brains change in response to experience. Our brains are capable of creating new connections between neurons to replace lost or damaged connections. By careful use of new behaviors and new thoughts– such as exercise, meditation, and effective psychotherapy – we can re-shape our brain. This means that basic techniques in our daily lives can be used by all of us -- to promote emotional and social intelligence; to make improvements in school, work, and relationships; and to achieve better well being. Q: "I thought attachment problems were only found in children, not in adults." A: Attachment problems early in life, caused by trauma or by emotional neglect, are at the root of many adults' repetitive relationship problems and other kinds of emotional suffering. On the one hand, our earliest experience, as an infant with a primary caretaker such as our mother or father, can shape the mind, brain, psyche, and behavior of both the individual and future generations. On the other hand, emerging evidence suggests that our psyche can be very responsive to current conditions, “especially when these conditions favor the activation of the individual's self-righting, self-healing mechanisms.”* Our psyches are “plastic,” changeable under certain circumstances. It has been said that the best therapy is a really good relationship. Work with the right therapist, with the right methods, can use our psyche’s plasticity to create or restore a healthy, satisfying sense of self, feelings of competence, and connection to others. Crucial aspects of the development of the brain are shaped in early experiences between infant and caregiver. During the first two years of life, the brain is growing at the most rapid rate of the entire lifespan. Emotional processes between infants and caregivers through attunement, empathy, shared feelings, exchanging gazes and vocal rhythms, and many mutually shared pleasure, processes are associated with positive emotional states early in life. These “emotion events” are processed by and also shape the right side of our brain. Trauma can take the form of specific overwhelming acts of violence or natural catastrophe. It can also have a more chronic form, such as repeated, intense family conflict, neglect, or loss. Many traumatic events are “healed,” resolved, or worked through in the course of normal life, when we become close to people who give us sufficient nurturing and security, or with professional support. If trauma in early childhood is not resolved, it can create serious emotional and life problems (including health risks (iii) in adults. For adults, the consequences of childhood emotional neglect and deprivation can be as clear and damaging as the consequences of clearly traumatic events. Adults who have not been able to resolve childhood trauma can experience significant, recurring problems in close relationships. They may have intense negative emotions that are “too strong.” At times, these strong negative emotions may prevent them from correctly understanding and responding to routine negative events in their lives. Q: How can therapy help with long-standing problems? A: Reliable empathic communication between (the right brain of) the client and the (right brain of) the therapist becomes the basis for healing old wounds and improving the adult’s emotional life.A close, trusting, empathic relationship with the therapist is the central tool for meeting the client’s basic need for survival: security. Peter Fonagy writes, “[t]he biological need to feel understood … takes precedence over almost all other goals." (i) The therapist shares in the hard emotional work. The client comes to feel that he or she exists in the heart and mind of the therapist, even when they are not in the same room. Based on empathy between the client and therapist and the sense of security that takes root, the client and therapist slowly explore strong negative experiences of the past, including the senses that were involved in these early experiences. 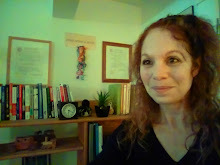 Similar to wonderful parent-child connections, the therapy connection or “attunement” becomes the “holding environment” in which the client can feel secure enough to remember early painful experiences, to re-interpret them using her or his adult understandings, and to modify the "story" that he or she has been telling themselves about their lives.